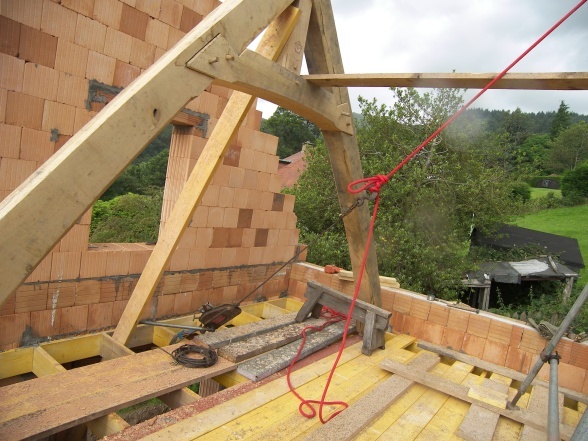 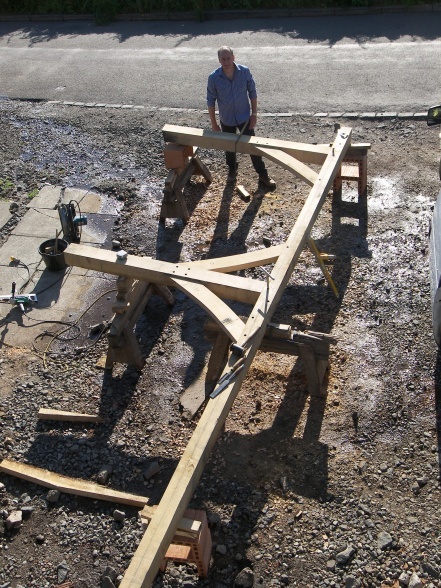 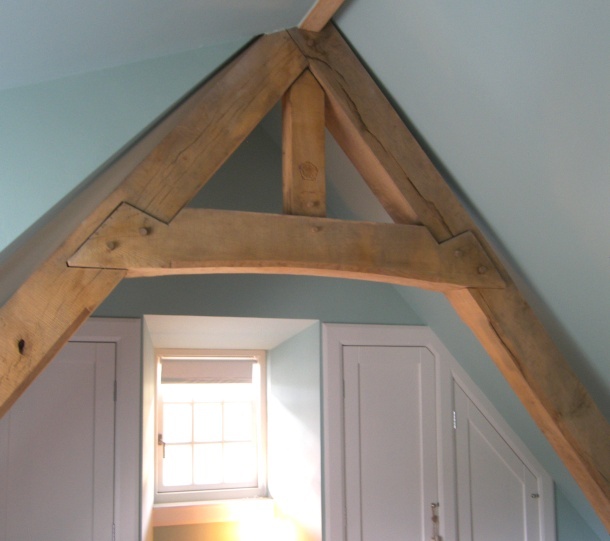 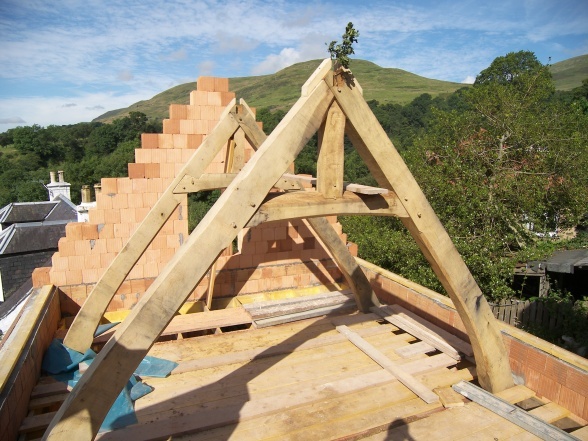 Bank Hill House : A pair of cruck frames supporting the roof of the master bedroom in a new house in Dollar. 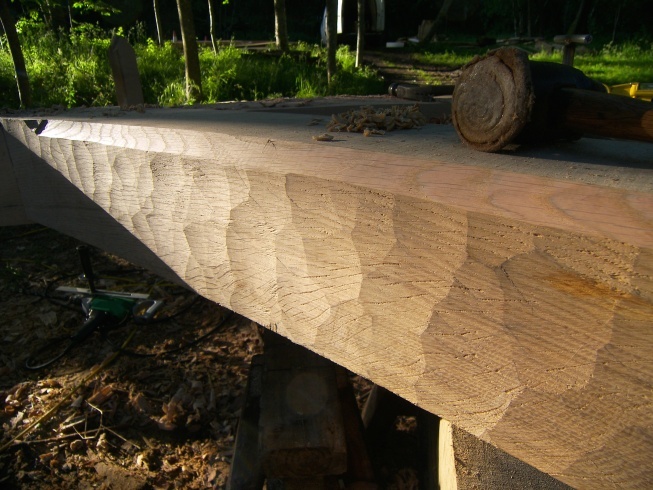 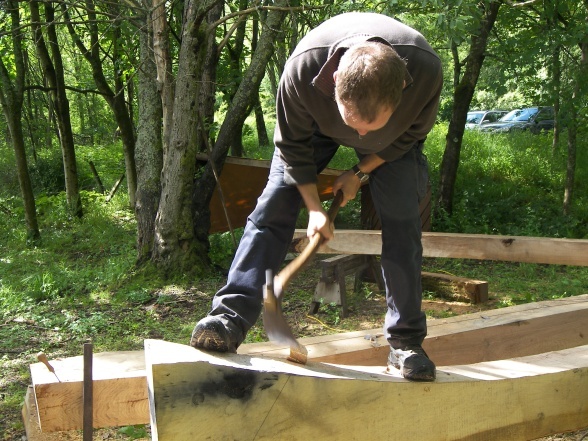 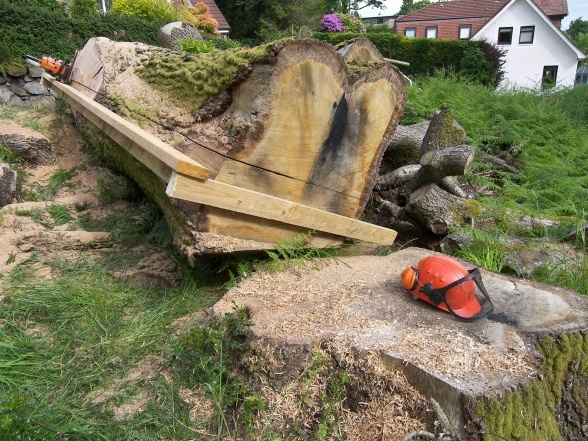 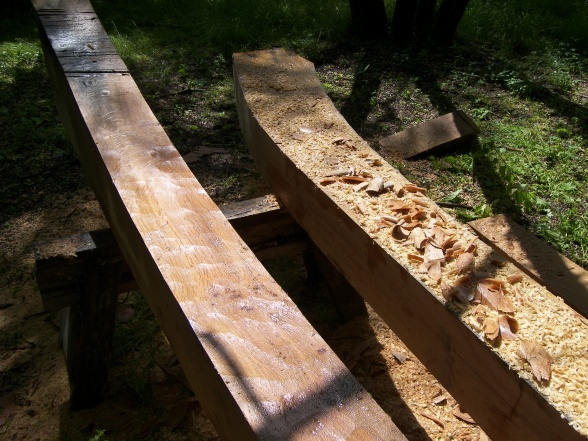 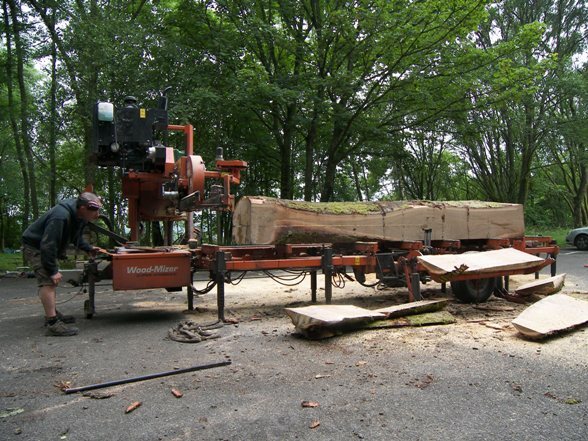 The timbers were milled from a windblown tree using a chainsaw and a mobile sawmill, and framed in the woods near the house. 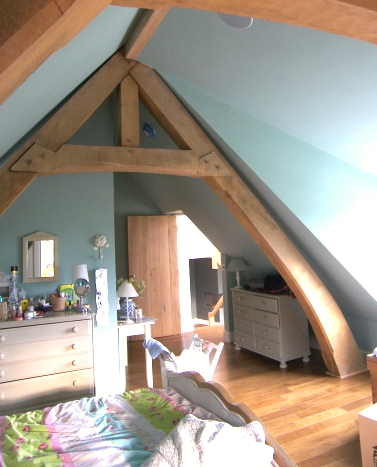 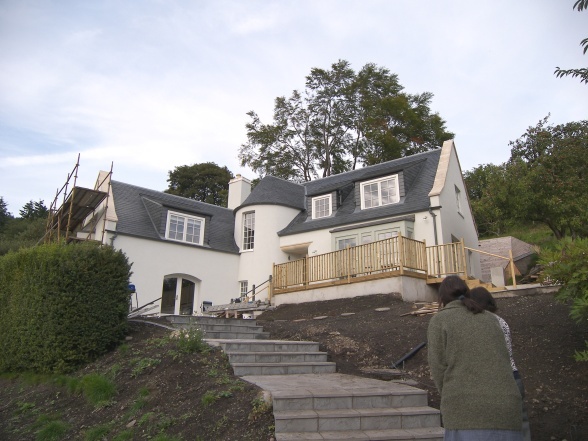 The architect was Matthew Pease and the sawmiller was Keith Threadgall of Real Wood Studios. 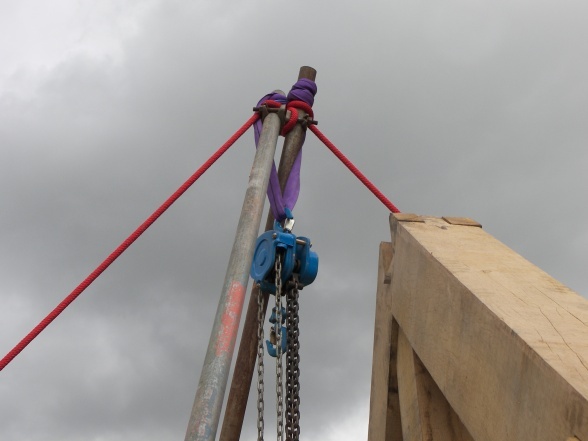 It was hand raised using shear legs, a winch, and a chain hoist.